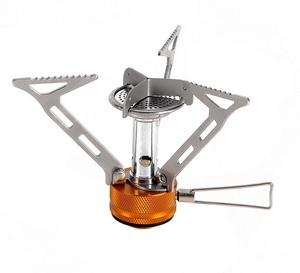 This small foldable gas stove is simple in design, easy to operate and maintain. 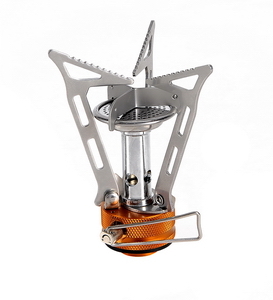 With its baffle windshield on the burner top, it is suitable for high mountain use as it can withstand strong winds. The small flat top provides a strong & straight powerful flame.